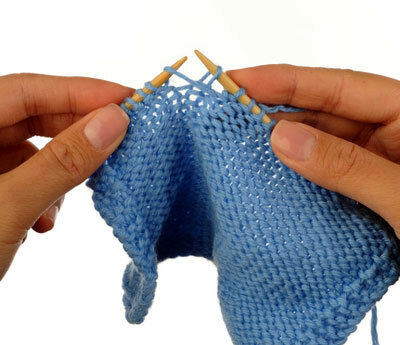 As you knit along, you might encounter a strange-looking stitch. Maybe your stitch is incomplete (meaning it didn’t quite make it onto the needle in the previous round) or incorrect (you accidently knitted when you meant to purl). Fortunately, both errors are easy to correct. 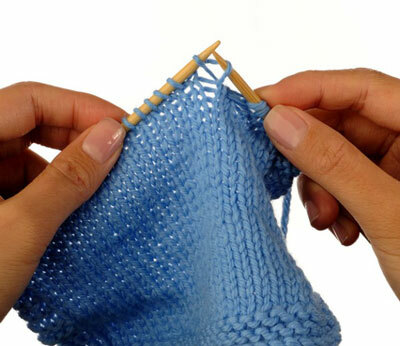 To fix a knit stitch: Make sure that the stitch from the previous round is on the left and the loose strand is on the right. Then insert the right needle tip into the stitch from front to back, and pull the stitch over the loose strand and off the needle. The stitch is now complete. 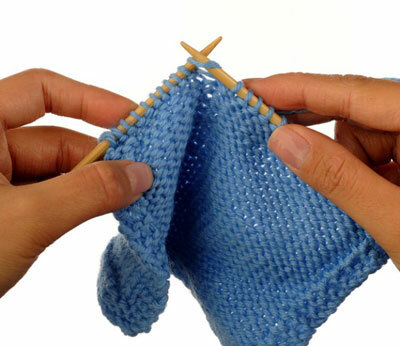 To fix an incomplete purl stitch: Make sure that the stitch from the previous round is on the right and the loose strand is on the left. Insert the right needle tip through the stitch from back to front and slip the stitch to the right needle. Tip the right needle down slightly in front of the loose strand. Push the loose strand through the stitch from front to back. 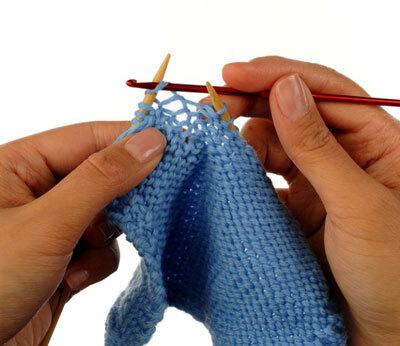 Place the stitch back onto the left needle and now it is ready for you to work. 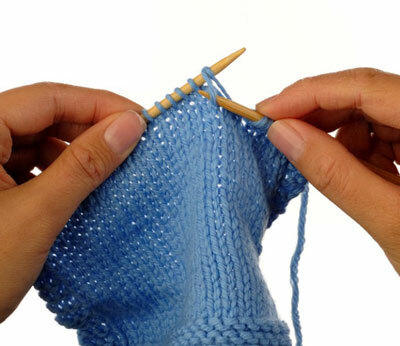 Did you accidentally knit a stitch instead of purl it, or vice versa? Did you also not realize your mistake until you’re on the next round? Fixing this mistake is a variation on picking up a dropped stitch. Take the incorrect stitch off the left needle. 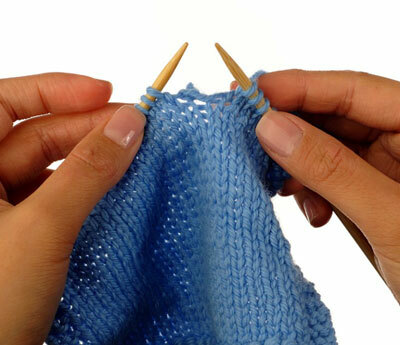 Gently pull the strand of yarn running between the two needles. This pulls the stitch out by 1 round. Pick up the stitch correctly. 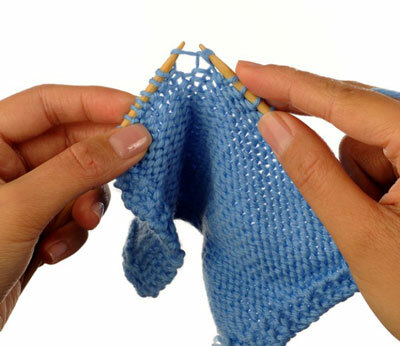 For a knit stitch, insert a crochet hook or the tip of a knitting needle into the stitch from front to back and pull the strand back through the loop to re-form the stitch. 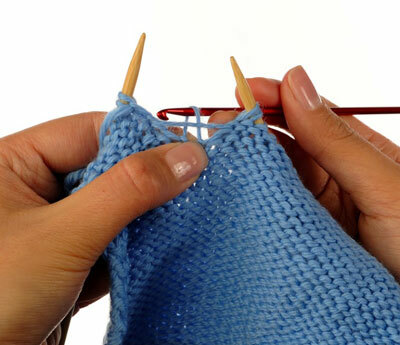 For a purl stitch, place the loose strand in front of the stitch. 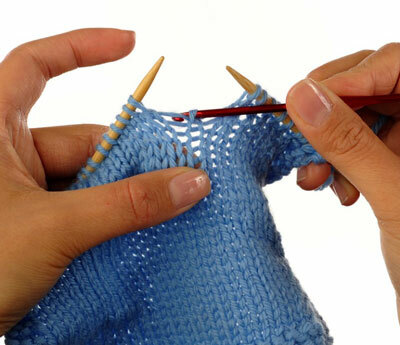 Insert a crochet hook or tip of a knitting needle into the stitch from back to front. Pull the strand through the loop from front to back. Place the corrected stitch back onto the left needle. When working with some yarns, you can easily pick up only part of the yarn strand while knitting along. To correct a split stitch on the next round, take the stitch off the left needle and then replace it, taking care to place the needle through the entire stitch. To correct a split stitch several rounds down, ladder down and pick up the stitch in pattern, taking care to pull the entire strand through on each round when working back up to the needle.